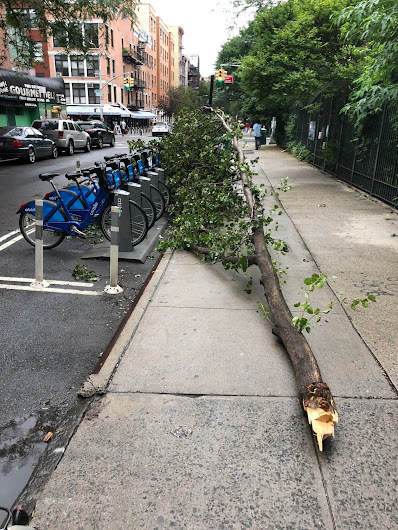 There are several reports of downed tree limbs in the neighborhood these past 18 hours or so with the rain and strong winds ... starting on Fifth Street near Cooper Square, where two large branches fell yesterday afternoon, landing near the Standard East Village. 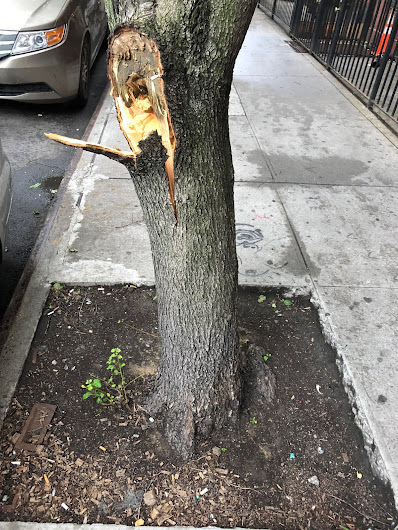 Per the EVG inbox: "The East Fifth Street Tree Committee was on the job and contacted the Parks Department immediately." There weren't any injuries reported. Meanwhile, there were reports of a small branch down at the entrance to Tompkins Square Park at Avenue A ... and a limb fell across Sixth Street near Avenue B. This is an alarming trend. Those trees don't even look that old. 'Doesn't matter. 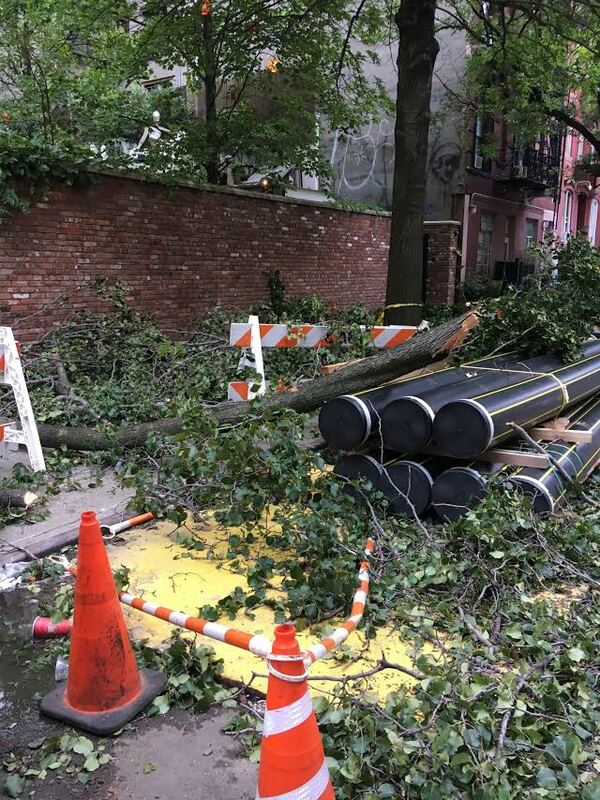 They were a hazard to pedestrians and cars thus had to be taken down.